This is a centrally located two bedroom courtyard apartment that is ideal for couples, friends and families alike. With all the facilities you might require from hair dryer to a washer dryer. I am Mark (55), a Brit living in Hungary with my Hungarian wife Kati (44) and our two sons (13 and 15). We both worked in education and are now running our small business of language teaching, proofreading and holiday rental. We have travelled a lot with the children since they were born; they are well seasoned, flexible and respectful to other people&#8217;s property&#61514; We feel it is important for them also to appreciate different cultures, food and lifestyles. We enjoy cities as much as mountains or the sea and would be very happy to share our knowledge of Budapest with you. 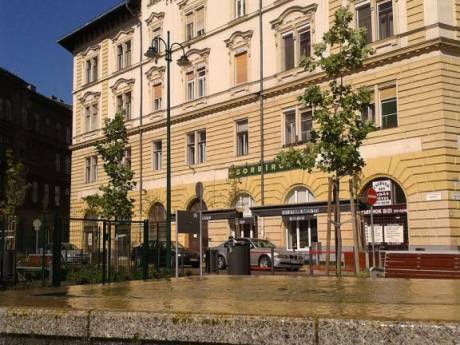 We live 25 km outside of Budapest near a national park, and thoroughly enjoy the cosmopolitan benefits of being so close to such a vibrant city yet with the peace of the rural wooded hillside where we live. Having a one bedroomed self-contained apartment as part of our house it could also be the venue for an exchange, including a Hungarian goulash cooked outside in a pot in the traditional way. This makes it entirely possible for an exchange that would give people sometime in the capital and sometime in the countryside with access to another area of the country or another country (the Slovakian Border being just 30 minutes away). The Budapest apartment is our second home, so we can do non-simultaneous exchanges, however we can only travel during Hungarian school holidays. 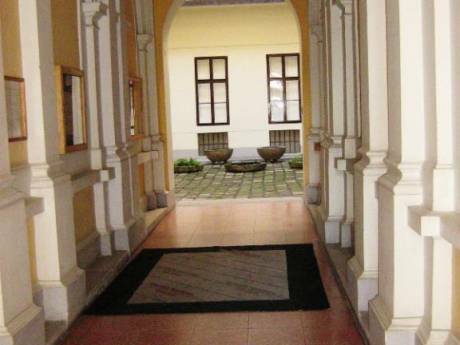 We are in a quiet and well located spot on the Buda side of the Danube near the Chain Bridge(100 metres). There is a supermarket with café facilities, cash point etc just 5 minutes walk along the Danube and next to the Metro, bus and tram. You can explore the Buda side of the capital on foot or take a tram or metro to anywhere in city. For the cost of about ¤16, a weekly ticket allows you to use all forms of public transport including the river taxi (the river taxi is weekdays only). Tram route 4 and 6 is great circular route to see the city and there is no better way to soak in the atmosphere and see some of the many fascinating sites. The weekly ticket allows you to just hop on and off whether to visit an attraction or just while some time away watching the world go by over a coffee and a pastry or an ice cold beer. Up behind the apartment, you will find the famous Castle District and Matthias Church along with some spectacular views from the Fisherman's Bastion. Some pleasant restaurants and cafes provide refreshments and on a hot day the cool underground Labyrinth is worth a visit. 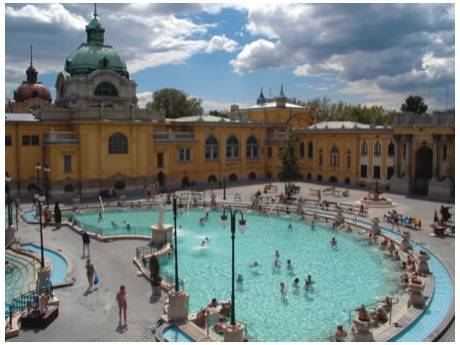 One thing not to be missed whilst here are the world famous thermal baths, from the classical architecture of the Gellert Baths to the Original Rudas Turkish Bath (circa 1566) just 20 minutes from the apartment, the subterranean waters packed full of beneficial minerals are a lot more than just a hot soak. In addition to many pretty sites, Budapest is full of cool parks and Margit Island situated in the middle of the Danube, provides a green haven to stroll through. Just 100 meters from the apartment you will find at least eight restaurants we are happy to recommend the top four!